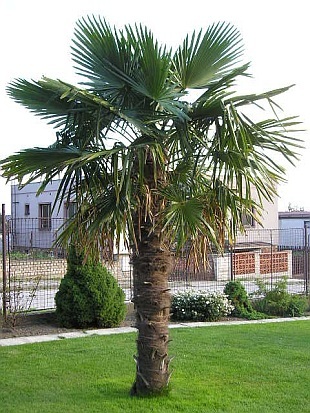 A single-stemmed palm with large stiff fan-shaped dark green leaves. Small yellow flowers emerge close to the leaf bases in early summer. 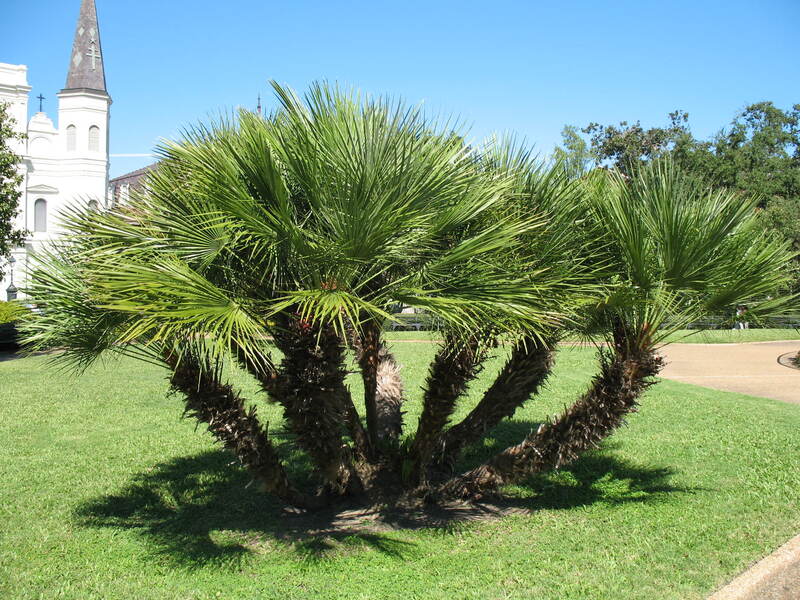 The hardiest palm in Britain and more wind tolerant than fortunei. Often referred to as ‘Waggies’. Max Height 5-6m. Max Spread 2m.